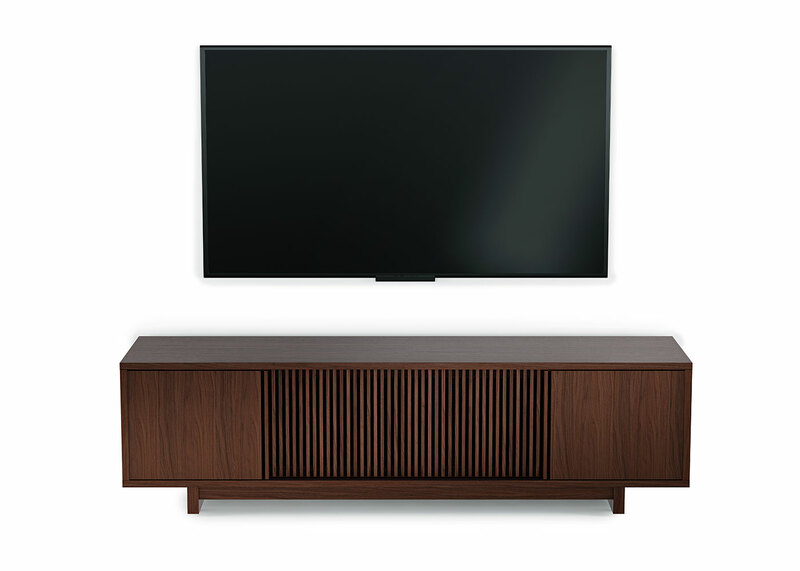 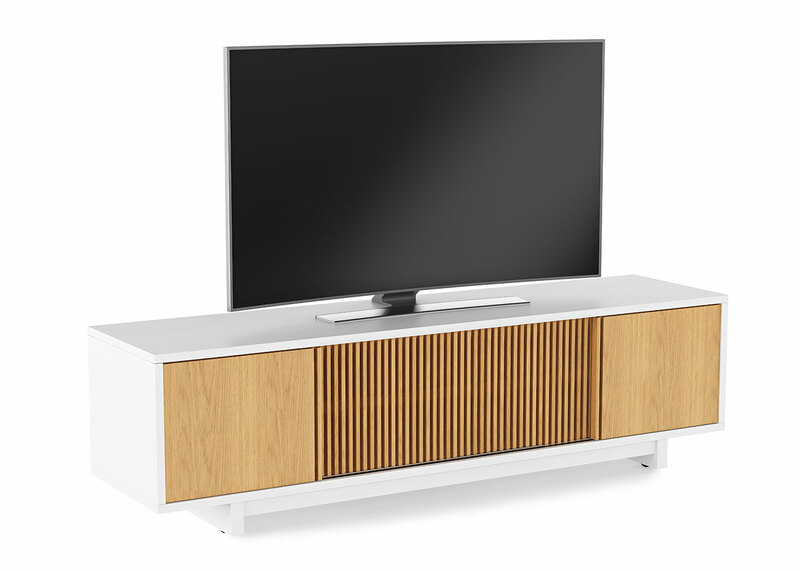 VERTICA 8559 features louvered and paneled sliding, bypass doors that can be positioned as desired, concealing two side compartments and an extra-wide center compartment. 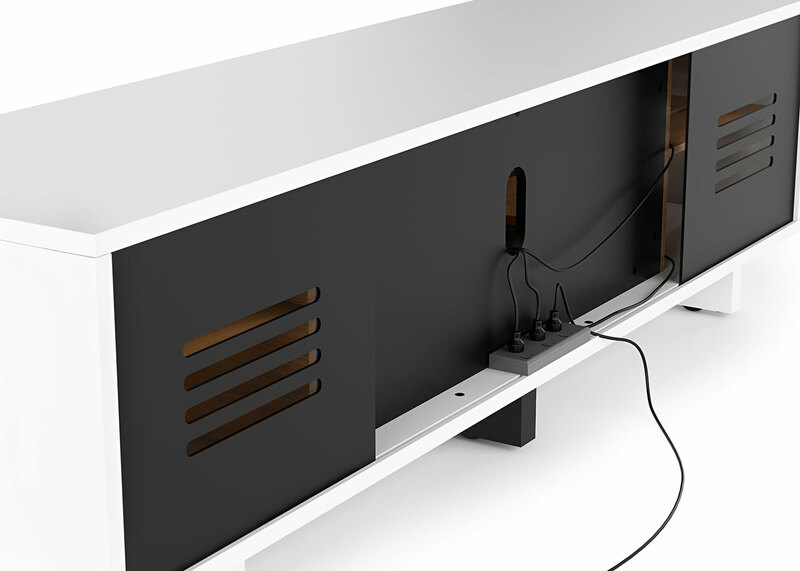 The adjustable center shelf can be used for a soundbar, center speaker or additional components. 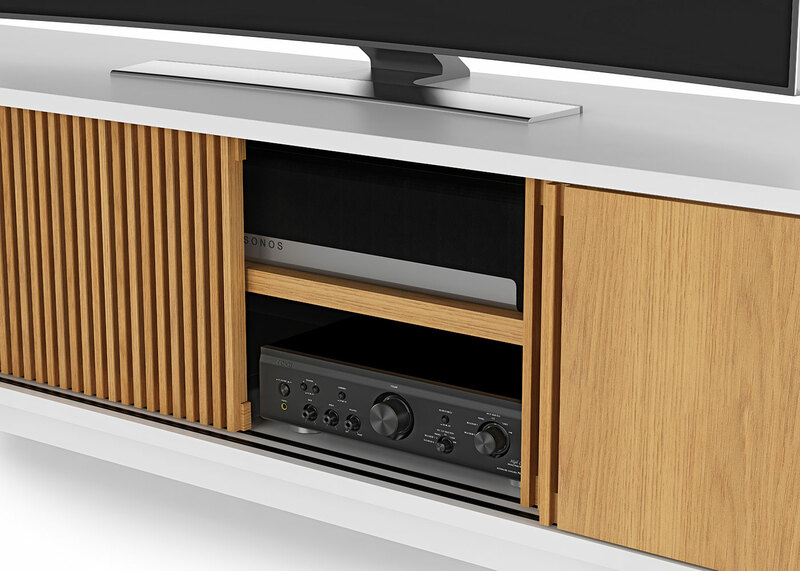 Side compartments each include an adjustable shelf.